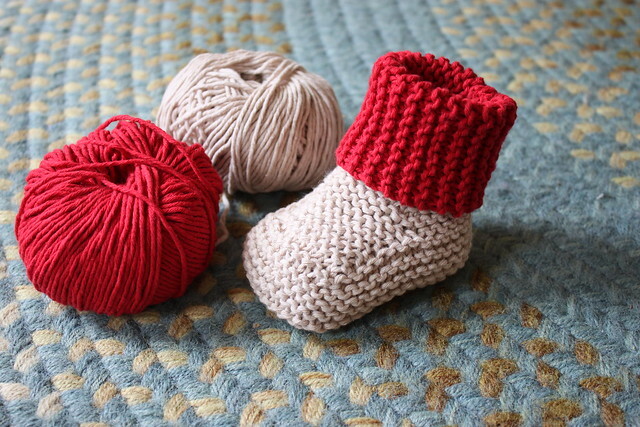 I've just ventured into the realm of baby booties, and I have to say, tiny projects are quite satisfying. 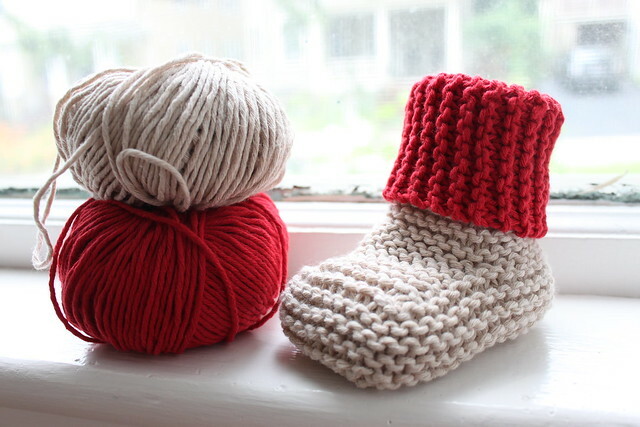 My friend just had a baby and I thought it seemed like a great excuse to try knitting a pair. (Well, so far, just one, but the second is in the works for this weekend!) I used this pattern and it was pretty straight forward. It says they fit a newborn to three months, but this first one turned out kind of big. Even checked my gauge first too! Oh well, you have to assume they'll fit at some point down the road!